I consider myself middle-aged and somewhat technically challenged – somewhere between feeling sorry for my aging parents and their very real smartphone struggles and being mortified at my children’s complete integration with everything tech. Not a bad place to be I suppose … I have a lot to learn but I am not really the “dunce of the class”. Hopefully, there are many farmers out there who are in my boat because this article is going to explore some exciting technology on the agricultural horizon. I’m going to ask all the stupid questions and try to lay the answers out simply. Over 2000 years ago, when cement was first formulated, it was a technological breakthrough. Almost 600 years ago, the first printing press was considered cutting edge. 140-150 years ago, when automobiles and electricity joined our lives, they represented the very latest in technology. Barely 15 years after that, the airplane smashed technological borders and changed the world forever. … it’s only getting faster and faster and today, technology is rampant; far too prolific to isolate individual breakthroughs. We have only to consider the fact that almost all of the jobs our children or grandchildren will be doing when they grow up don’t even exist yet! We are left with no option but to embrace technology! So let’s begin here, today, in our farming world, with drones – one of the greatest technological advances transforming agriculture today. We’ve all encountered these unmanned aerial vehicles, usually with a camera onboard. Less common, but far more relevant to the cane farmer of today, are their agricultural applications. Online information is scant, so I sought out someone I had heard about when interviewing Ant Goble; Tim Wise. He heads up PACSys, a Research and Development company based in Ballito. They are pioneering the journey into SA’s agriculturally applied drone technology. 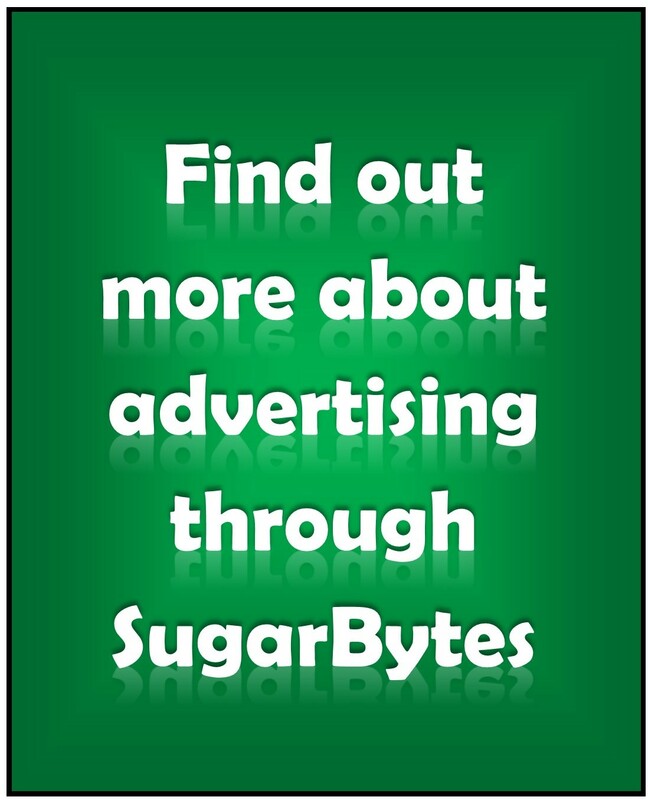 The company is owned by 6 men, 5 of whom are our very own top sugar cane farmers. Tim helped me to understand where we are on this journey. 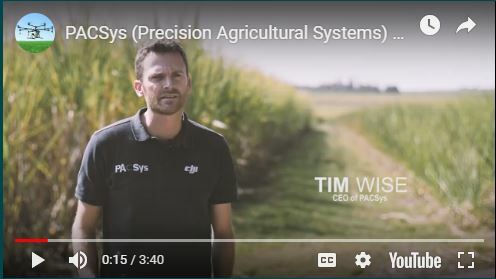 If you’d like some more information on PACSys, you can watch this short video by CTRL+Clicking on the picture below. Survey topography with a view to creating 3D models useful in planning field prep, drainage modelling and irrigation etc. Capture aerial images which can be used to identify variations in crop performance. Being a relatively easy crop to farm, the cost vs benefits of uses 2 & 3 have limited appeal in sugarcane farming but they are very useful functions when working with higher value crops like nuts. The drones used in these applications are also very different from the “cart-horses” required to crop-spray. It is the crop-spraying possibilities that we focus on in this article. A few years ago, Tim identified the potential application of drone technology in agriculture and investigated the equipment on offer. His ferreting took him to the US and China. Having grown up on a cane farm in Umhlali, Tim was specifically looking for a tool that could operate in KZN’s challenging topography and web of powerlines; thereby addressing the needs of farmers who faced inefficient or even impossible chemical applications by traditional methods. He came home empty handed. But he was invited to present a ‘requirement document’ by DJI, the world’s leading manufacturer of drones, based in China. He did this, explaining that fields he was targeting are seldom square, large, flat or easy to navigate. Six months later, they invited him back to have a look at the MG-1P which they’d developed to the requirements specified by Tim. It worked beautifully and the relationship between PACSys and DJI was born. As official DJI agents for SADC, PACSys now offers a drone that can navigate the sugar industry’s most challenging terrain and weather and still deliver chemicals accurately and effectively. This has excited not only the farmers but other industry stakeholders as well. Some chemicals are currently banned for aerial application, specifically in KZN, due to the technical terrain and higher than average wind conditions. Drone application might facilitate a revision of these bans. Setting yourself up with a complete crop-spraying rig will cost around R250 000. That includes the drone and all accessories required for spraying in the field whilst cycle charging the batteries on a generator. The additional benefit that drones can offer farmers is the ability to spray 100% of fields (in even highly technical conditions i.e. smaller, steeper and irregularly shaped fields). This will ensure that the farmer’s investment in either a drone or the contracting of a drone service company – to spray on their behalf – will be very quickly recovered. Tim says that although it takes no longer than 4 hours to train someone up who has never laid eyes on a crop spraying drone, which unlocks one of the greatest benefits of this technology; the BEE potential it represents. Currently, Future Farming Foundation is running a training programme with PACSys to fully capitalise on the BEE opportunities available. It is anticipated that the contracting application rates (fees per hectare) will likely be similar to the conventional crop sprayers. But Tim points out that the additional value / returns this technology unlocks by spraying 100% of field areas in especially technical conditions is what makes the difference. Drones are applying chemical from two or three metres above the crop and are capable of millilitre calibration accuracy. Whether to buy or contract in a drone service comes down to your farm size / technicality and frequency of spraying. 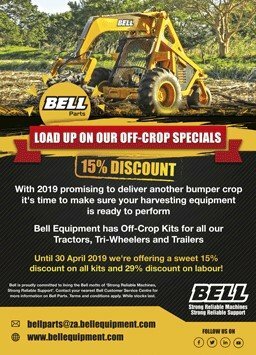 As far as maintenance goes, Tim says the drones, if well looked after, are very affordable to run and he would only budget a couple of thousand rand per year for the maintenance of these tools. PACSys has a complete spares department should there be maintenance requirements. Currently, the crop-spraying drones are suitable for any chemical that is registered for aerial application at mix dosage rates of approx. 30L / hectare. This covers ripeners, fungicides and pesticides as well as some herbicides. You go out to the field, identify the field to the drone by inputting GPS points of the perimeter. You fill the 10l tank with chemical to be applied, ensure your battery is fully charged and set the drone off. It will then operate on an ‘autopilot mode’ until it runs out of chemical & battery. The battery and tank are calibrated so that power and chemical expire simultaneously. This makes for far more efficient refuelling. The drone records its last point and awaits navigation by the operator back to the base where it is refuelled and fitted with a charged battery (in only 8 seconds) and set off again. Generally, the drone needs refilling and a recharged battery every 9 to 10 minutes and can cover 3 to 4 hectares per hour including battery changes and chemical refilling. Obviously multiple drones can be operated simultaneously, thereby increasing that coverage. If the drone encounters a power line or other obstacle it stops, hovers, and waits for the operator to manually navigate the obstacle which he does using the onboard camera. Once around the obstacle, the drone resumes its previous pattern independently. Universally, everything is getting more specialised. With good reason; the closer we cater to exact requirements, the less we waste and the more we save. Take “Just in Time buying”, pioneered by the Japanese; where they keep stocks low and precisely matched with consumers requirements. This revolutionised retail and manufacturing facilities universally. Similarly, drones deliver computer-controlled precise doses to computer-controlled precise locations – right now, it doesn’t get more accurate and precise than this – there is no waste, no underspray and no overspray. The WHOLE field can now get exactly what it needs … and here’s another benefit; it can also get it WHEN it needs it as drones can operate in higher winds (the proximity of the drone to the crop mitigates the drift factor) and at night, without compromising on delivery or safety. The drone is even capable of precision “spot-spraying” applications in the middle of fields, should the relevant pest / disease not yet have infected the entire field. Much of Tim’s R&D focus is now in these areas – which will further increase cost savings for farmers and reduce environmental impact. Here’s the kicker … getting licenced is a challenge. As mentioned, the CAA (Civil Aviation Authority) is somewhat overwhelmed by this new technology and establishing licencing protocol is taking some time. Currently it can take up to 3 years to become a licenced commercial operator. You have to have ownership of a drone before the licencing process even begins. Commercial licencing requires the submission of a ‘Safety Case” including a User Manual (how you are going to use the drone) and Operating Manuals (how you are going to operate the administration and control of the drone). Submission of the ‘Safety Case” initiates the process and is followed by an inspection of your facilities and a demonstration of the intended commercial use of the drone. There are 3 parts to a commercial licence: a company level licence (inc a Remote Operating Certificate (ROC)), a pilot level licence (inc both the Remote Pilot’s License (RPL) and Pest Control Operator’s (PCO)) and a device level (drone) licence. For the latter licence, the drone cannot have been operated by the applicant prior to approval (a desktop assessment of the drone is conducted prior to approval) otherwise approval may be withheld. Basically, you are assessed on the same parameters as a commercial airline or any other aviation body requiring a licence to operate an aerial vehicle for commercial purposes. The fact that drones are unmanned does not mean the licencing is different, yet. The CAA is in the process of developing a suitable set of requirements for drones but, as this technology is cutting edge, it’s taking some time. A commercial licence is required if you are going to be contracting your services out to farmers on a commercial basis. As this could take as long as 3 years and, during that time, you have to be completely resourced with staff and equipment to run the commercial operation – costs are estimated to be in the region of R1mill over this 3 year period. Concerns have been raised regarding potential mid-air collisions with drones. Tim clarifies that properly trained and licensed pilots are capable of ensuring aerial separation through radio calls before and after applications. The drones cannot fly higher than 30m (100 feet) above ground level therefore should never interfere with manned aircraft who are not permitted to fly less than 500 feet above ground level, over private property, without the farmer’s permission. There are other drone manufacturers, but DJI currently make 70% of the world’s drones and are clear market leaders, investing vast amounts of money into research and development to ensure that they stay at the top of their game. PACSys are the sole agents, for DJI, in the SADC region. There have been other importers of crop spraying drones into SA but Tim cautions prospective buyers to ask many questions about parts, service and price before making any final decisions. 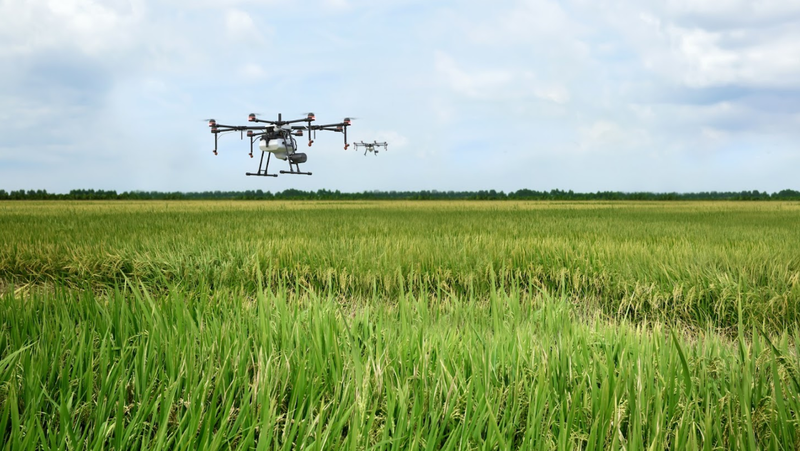 Already, there are ways to get even more precise with crop-spraying drones; if you use satellite imagery or images captured by a photographic drone, software applications will identify ‘areas of concern’ within a field. They do this by identifying a deviation in colour (chlorophyll levels or other symptoms of disease or pests) which indicates that there is a problem in a specific part of a field. Eg: when thrips or aphids infest. Instead of blanket spraying the whole field, the information (GPS coordinates of the affected area) can be uploaded to the drone so that it goes straight to the problem and sprays there only, thereby cutting back on chemical expenditure and waste on spraying an entire field that doesn’t need it. We also know that, because of soil and slope variations, it is common that a whole field will not ripen uniformly and that there will be vigorously growing patches interspersed with stressed, fully ripened patches. When drone technology is employed here, the field will be assessed by a similar software application that identifies which parts of the field require ripener and the drone will apply ONLY to those parts. GREATER PRECISION = GREATER COST SAVINGS. This precision becomes particularly appealing for mac farmers; many of the chemicals they have to apply have recommended doses as high as 1000l per hectare (mixed) – that’s a complete drench of the tree! Obviously, a small drone is not going to cope with that BUT, if an orchard is surveyed and artificial intelligence (the software applications being developed) used to pick up ‘stress signatures’, issues can be identified and isolated to a few trees. A drone can then come in and drench only the affected / infected trees. This will obviously save you tonnes of chemicals, quite literally! Research and Development at DJI is focussed on creating more efficient machines rather than cheaper machines. Right now there is a lot of effort going in to extending battery life and other features like spraying more hectares in a shorter space of time before the focus turns to cost cutting of the drones. You require licencing. Currently there are no 100% licensed operators (but there will be soon!). Once approved, it will be the most precise way to deliver chemicals. Precision results in minimum waste and maximum efficacy. Obviously, all chemical labels – especially application rates – have to be strictly adhered to. This is not only a legal requirement but it is also our environmental responsibility. Incorrect applications can result in, among other things, resistance. Lives will be saved by crop-spraying with drones. The environment will benefit when drones crop-spray as there will be less overspray and drift of chemicals. Fuel will be saved; drones use about 20% of the fuel required by a manned aerial vehicle. This fuel is used by the generator that charges the batteries in-field. Small-scale farmers will benefit from access to a service that is perfectly suited to small pieces of land. Unskilled labour will have a place in this industry, either as pilots or ground crew. Knowledge is information gained from a previous source. It is usually information gained through someone else’s experience. I thank Tim for sharing his knowledge and experience with this profound technology. Knowledge puts us in line for wisdom. Wisdom is not something that can be learned, rather – it is something that is forged as a result of life’s experiences. My humble hope is that this information and knowledge leads to your wisdom in applying it to your situation.